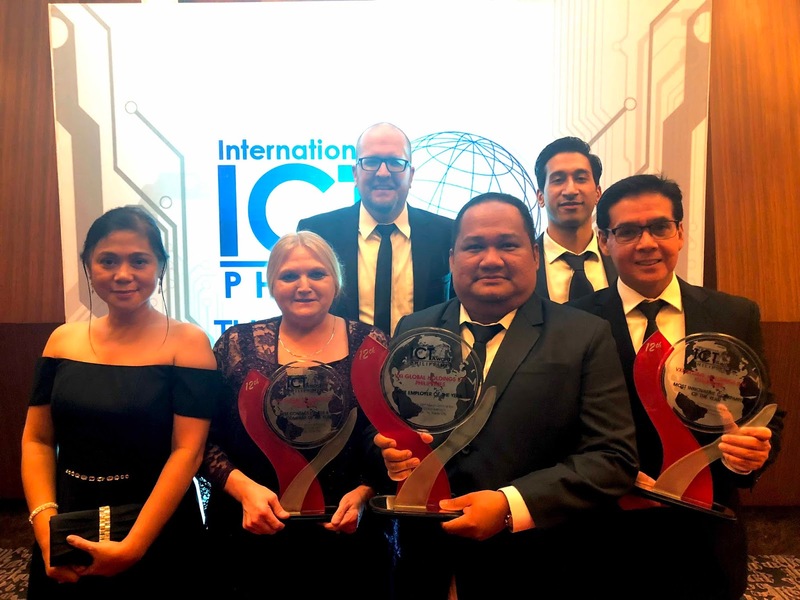 VXI Global Solutions, LLC (VXI) emerged victorious once again, winning a hat trick at the 12th International ICT Awards Philippines held at the Manila Marriott Grand Ballroom recently. 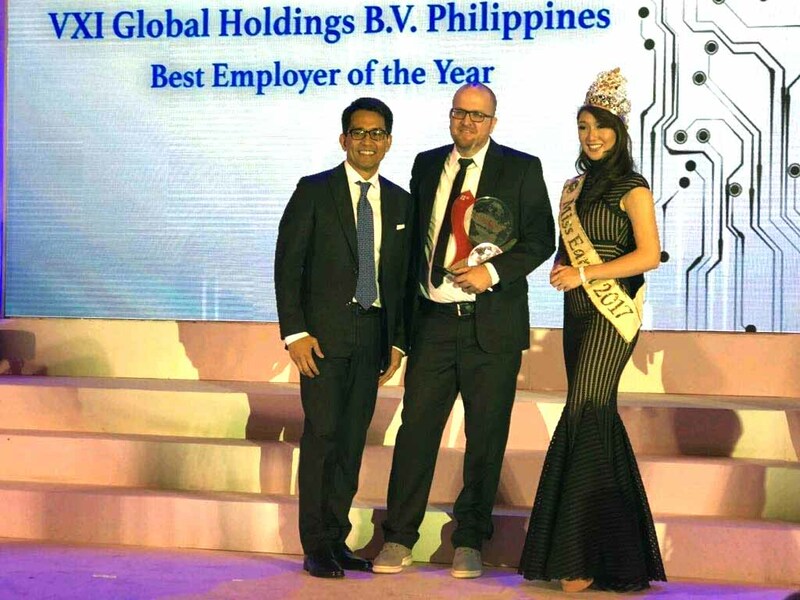 VXI Philippines (VXI PH) was awarded three major honor including the most coveted Best Employer of the Year premier award. The qualification criteria were structured around people practices including HR leadership, policies, practices, breadth of competencies and overall public recognition by clients and employees. “This recognition from ICT is a celebration of VXI’s transformation story during the past 3 years. We strived to shape VXI to be a great place to work by building a great culture, creating meaningful careers, paying fairly and competitively, and communicating with passion,” said Jovy Llanes, Vice President of Human Resources. Competing with the industry’s largest and best companies, VXI also took home the Best Contact Center & BPO Company of the Year award for the second straight year. Echoing this year’s theme, “Exemplifying Excellence”, VXI cemented its stature as one of the top and fastest growing IT-BPO companies in the Philippines. “We are immensely proud and truly humbled that our hard work has been recognized on the international stage. This award is for all of us at VXI, our employees who embodied our values and delivered high performance consistently and the management team for providing authentic leadership” said Eppie Titong, Vice President of Operations. The gala event was concluded with the announcement of VXI as the Most Innovative Company of the Year for focus on technology innovation, breadth and depth of R&D competencies and client profile. VXI was recognized for building several productivity and efficiency tools including Training SimulatorTM and PerformancePro360TM, which significantly increase speed to proficiency and drive KPI improvements respectively. “This award is a great validation of the creative intelligence behind our tools and products. It will further our fascination to design more efficient solutions”, said Prateek Hastir, Vice President of Sales & Marketing. The International ICT Awards Philippines are organized by The Canadian Chamber of Commerce of the Philippines (CanCham) in close cooperation with the Information Technology and Business Process Association of the Philippines (IBPAP). The event is widely recognized as the most prestigious ICT Awards event in the Philippines. With 30,000 employees across 42 delivery centers, VXI Global Solutions is a leader in customer experience management and contact center solutions. With a diverse workforce and delivery centers in North and Latin America, Caribbean, Europe and Asia Pacific, VXI drives high Net Promoter Score (NPS) and positive bottom line impact through its customer management solutions, unified Omni channel communication platform, and purpose built productivity/efficiency enhancing IT applications.